Sea, Sand & Sky: Andres Amador Returns to Boston to Transform Carson, Constitution, and Nantasket Beaches! Andres Amador Returns to Boston to Transform Carson, Constitution, and Nantasket Beaches! Andres Amador, a San Francisco-based artist, will be making spectacular art on the metropolitan Boston region's public beaches from August 18-20 as part of Save the Harbor/Save the Bay's Better Beaches Program. Andres' artwork can span over 100,000 square feet, achievable only during low tide. His artworks do not last long- within minutes of finishing a piece, and often while still in progress, the returning tide begins resetting the canvas. Andres has been featured by the BBC, CNN, Discovery Channel, and numerous TV programs and periodicals globally. 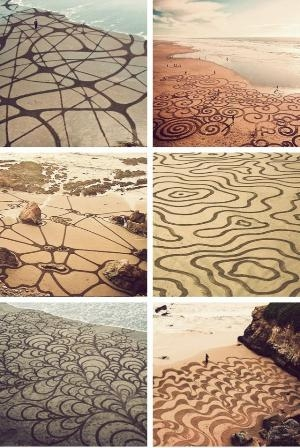 His artwork has appeared on beaches in the US and internationally, with his primary canvas being the Northern California coastline. 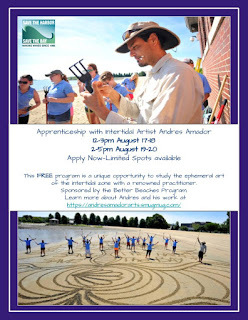 This year, for the first time ever, participants will have the opportunity for an apprenticeship with Andres, and learn the methods, skills and meaning behind his incredible Earthscape Artwork. This apprenticeship will train 10 participants in the intertidal arts in exchange for 15 hours of community volunteer service at education and public events in summer 2018 as part of Save the Harbor's Better Beaches Program. 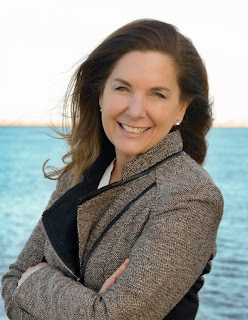 The intention is to bring the wonder of this work to the public in beachfront and waterfront communities throughout Massachusetts. Apply now!